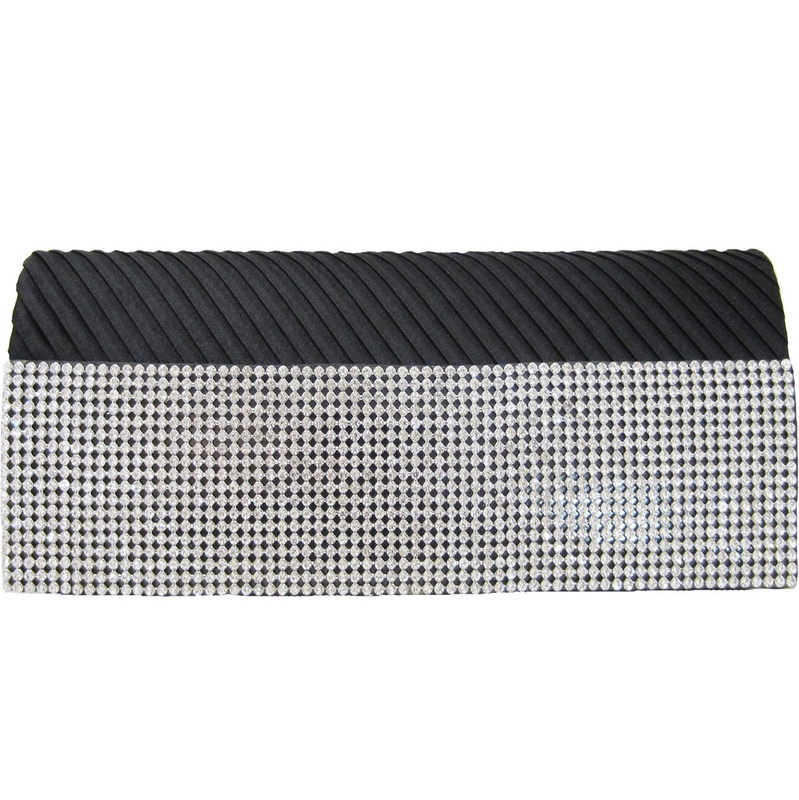 Black satin clutch evening bag with a pleated finish. The front of the bag has pave set crystals which make adds a formal feel. You can carry this bag as a clutch or use the silver metal shoulder chain which is detachable. See all of our satin evening bags.